Back View, Rendered Fashion Crouqi of a langerie/ swimsuite model. Fashion Sketch Template is downloadable in ai, svg, png formats. Rendered figure croqui of a skin tone walking male model, front view. 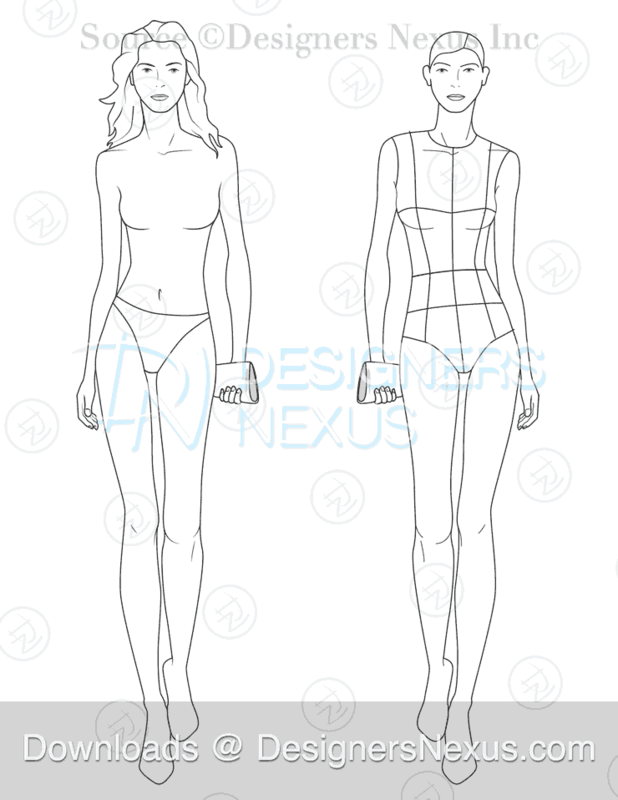 Fashion Sketch Template is downloadable in ai, svg, png formats. Definition: A fashion croqui term (originated from a french word “croquis” meaning “rough sketch”) in fashion design is referred to an outlined fashion sketch of a figure model in various poses that fashion designers use as a template for fashion sketching and drawing, to illustrate and present fashion designs ideas. Traditionally, a fashion croqui figure is 9 heads tall, but this can vary depending on the designer’s aesthetics. Fashion figures are traditionally slender with exaggerated long legs. Download free fashion figure templates in Adobe Illustrator (ai) and svg vector format or print high-quality bitmap (PNG) format for your fashion croqui template library. All fashion croquis on this site are our ORIGINAL work, and not copied from any other site or source. DesignersNexus.com remains the ONLY place where you can get the original, highest quality downloads of our templates.